Branding is not solely about logos, fonts or typography in general. However, choosing the right fonts that represent your brand’s values and message, and appeal to your target group is essential for building a strong and recognizable brand. In this post series that I called ‘Brand your Blog’, I want to go through everything that’s involved in building a brand around your blog, finding the right niche and creating a strong image of your brand, including logo, typography and blog graphics. This first post is all about finding beautiful handwritten fonts to create a unique and very individual brand design for your lifestyle or fashion blog. 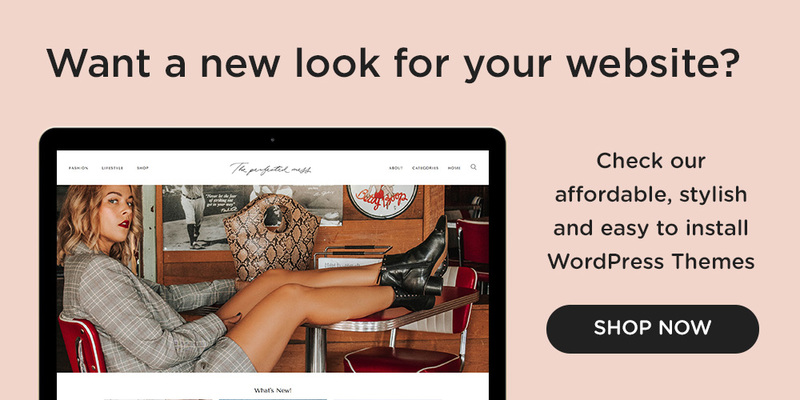 When it comes to picking fonts for your blog brand, you should always consider the style and what you intend to use them for. Pick sans-serif fonts for the main content as they are claimed to be best to read on computer screens. Serif fonts can be very elegant and are a great match for post titles, especially in a bigger font size. Now, to bring in a little bit of variety, why not use handwritten fonts? Handwriting is the perfect match for logos and special sections in your blog design that you want to highlight. You shouldn’t use handwriting for normal post headline or even post content, because they are difficult to read in smaller size and will distract your readers when used too often. But as a logo font, for titles or as a signature they are perfect! Especially if your blog design and overall branding is very design-oriented and polished, a bit of handwritten accents can spice things up. I love how the girls from The Daily Dose or Devon Rachel use handwritten elements in widget titles to make the whole experience look more personalized and familiar. Also our Madrid Theme features some cool handwriting accents in one of my favorite handwritten fonts! There are a lot of destinations on the web where to find beautiful script and handwriting fonts, both free and premium ones. When picking a font you have to make sure that its license allows it to be used for your purpose. If you are a hobby blogger, personal use licenses are enough, but if you intend to make money with your brand, you should look out for fonts that are free for commercial use. 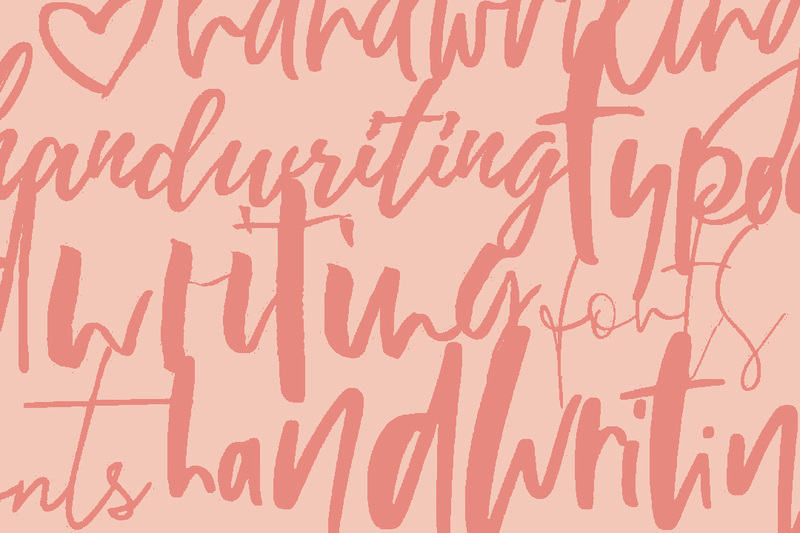 Now, here are my 20 favorite premium and free handwriting fonts for your blog’s branding. I have also added if you can use them for personal or commercial projects. Hope you have fun creating brand concepts and logos with these beautiful handwritten fonts! Simply sign up for an account and redeem your code here. Get the Fonts as a Bundle! The ultimate Free Handlettering Fonts Post – Discover my favorite 20 free handwriting fonts for commercial and personal use and instantly download them.